Meditation for Better Health … and Meetings? Stress is unavoidable, but that doesn’t mean you can’t be proactive about it. In speaking with hundreds of business leaders and entrepreneurs, I’ve found that one thing in particular tends to cause a lot of stress, and it’s not family or travel or social events. Actually, it’s business meetings. Not that those other items can’t take their toll. Travel can be especially stressful, and recent surveys say 45% of Americans report they or someone they traveled with needed to see a medical professional while traveling. Especially when traveling for business, this can have disastrous effects on your ability to perform at your best (or at all). This can be mitigated with planning and meditation. 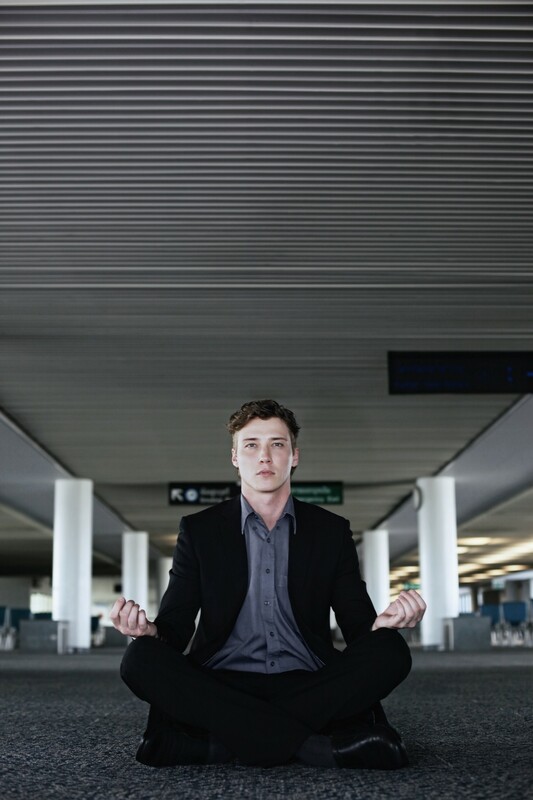 When talking with my team, clients or other business leaders who are traveling for work or with family, I often recommend amplifying their meditation practice in the weeks leading up to the event. This activity of meditation and focusing on your breathing actually helps to boost your immune system, and lower any anxiety around the trip. Personally, I’ve found that meditating with the Muse headband while on the plane (yes, I’m that guy) actually improves my calm and lowers any reactivity I’m feeling. How to turn your meeting into momentum. But business meetings bring all new levels of stress to your life. Annual planning, year-end reporting, budget meetings and proposals all end up bundled together in a sprint of activity, deadlines and deliverables. If you’ve ever had to lead or present at one of these meetings, you’re familiar with the rush of adrenaline, the butterflies in your stomach and maybe even the cold sweats produced as a reaction to your anxiety. The adrenaline certainly helps us focus on one or two things (what’s most concerning us at the moment), however this also limits our ability to perform at optimal levels. But I’ve been in these meetings with CEOs, boards of directors and self-made billionaires, and the leaders who make the most out of these meetings do so through presence and awareness. They’re not focused on one or two items, but seem to understand everything that’s going on, what’s being said and not being said. They’re constructive leaders. They’re magnetic and transformational. They control the room. And they … breathe. They do this because most of them learned a long time ago that their levels of stress affect everyone else in the room. If they’re wound up, everyone else will be too. And if this happens, no one in the room will perform to the best of their abilities. I became very aware of this fact during a recent call with Brooks Hollan, founder of a marketing, consulting, and video production company in San Diego. We recently spoke for about 90 minutes, transparently discussing ways for him to get unstuck, create momentum and stop feeling overwhelmed. I remember concentrating on staying present and aware, breathing as Brooks talked through some difficult challenges he was facing, and trying not to be reactive, which wasn’t easy. By the end of our call, Brooks told me how much better he felt, how much clearer he saw things, and how the pressure and noise he experienced was lower. I was ecstatic. This is my goal for every interaction. But then, just a few hours after we hung up, Brooks sent me a text (see image). The day before our call, Brooks had completed a meditation session with the Muse headband when he felt unprotected, overwhelmed and stressed. At that point, he could only register 16% calm. Then, right after our call, he completed another session to see the contrast. As you can see, his results were dramatic, jumping up to 81% calm. This is direct evidence of the kind of effect leaders can have on the people they interact with. To learn more about getting started or optimizing your meditation practice, check out my Meditation Starter Kit.